Our home in the media centre. I've been to Wimbledon once before, my brother and I had tickets to the Final a couple of years ago, Djokovic v Federer if I remember correctly. It was a great experience, but by finals day there isn't much else happening around the grounds other than on Henman Hill (or Murray Mound??). This time around however I had plenty of time to explore the grounds, watch the juniors, the very entertaining seniors (or invitation) which was such great comedy and even got to watch a bit of wheelchair tennis. Absolutely astounding watching those guys and girls. Doubles you can get your head around, but singles wheelchair tennis is seriously impressive! Obviously being there in a Canon capacity, My Nikon's were banished! Not that I minded, I've never equipped myself for sports or wildlife so would never have long enough lenses. I did however have all the Canon gear I could ever have wanted at my disposal to play with. Including their new 1DX Mark 2. Having used this camera on and off the last few months while we've taken it on the road to pro stores all over the country as well as other events it was a pleasure to put into action in a real world environment. It has left me truly questioning if I should chop in all my gear and jump over the red team! While it is a big lump, it's kind of the only camera you would ever need. A big drawback for me having had the D800 and D610 at home is that I'm so accustomed to those RAW files. Being able to draw on the ridiculous dynamic range that you have available on those cameras, pushing and pulling the RAW file and it simply not destroying itself has left me a little spoilt. But the mark 2! I've been able to pull back loads of both Highlight detail as well as Shadow. Coupled with ridiculously low noise levels (and what noise there is somehow looks attractive in many, not all, conditions) as well as the video features does make it fairly attractive to say the least! It is the do everything camera almost without compromise. Walking around the grounds, having spent a bit of time courtside on the smaller courts I found, after a couple of hours of being a little overwhelmed with things to photograph, that the details around the grounds were what was interesting me more than the actual tennis playing. I figured the Pro's were photographing the matches and there was no way I was going to shoot something they weren't already. 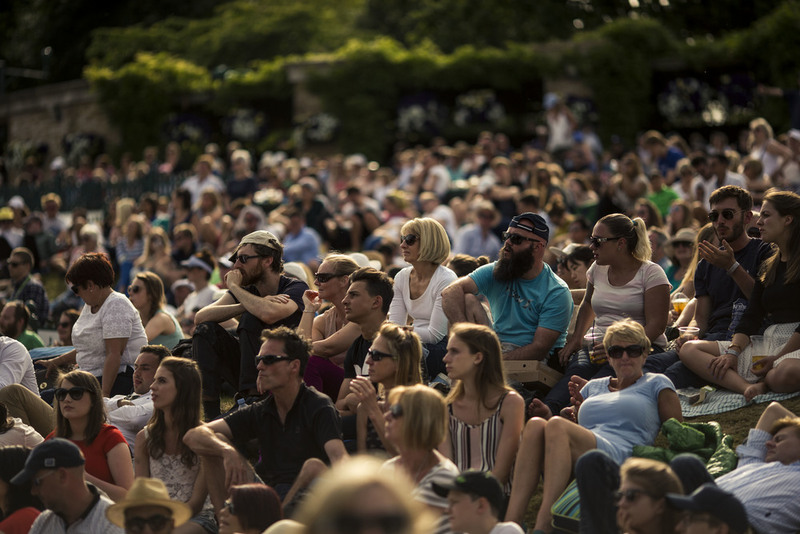 So I wondered the grounds and photographed the people and the scenery trying to find interesting moments surrounding the tennis; people peering through small gaps to catch a glimpse into the show courts, the crowds, people trying to claim their space to see even a part of the big screen on Henman Hill. In the end I came away with a few images I really like, highlighted above and some more in a slideshow below. 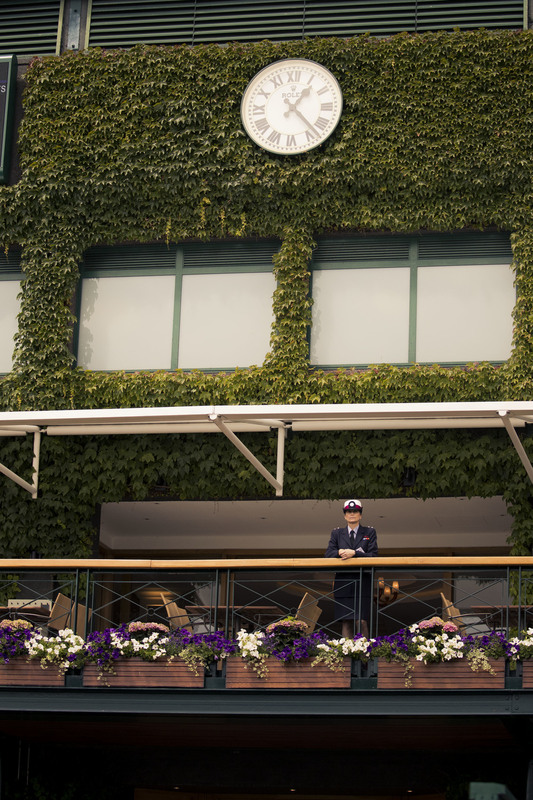 I thoroughly enjoyed my time at Wimbledon, hopefully I will be able to do it again next year and I'll have a better idea of the things I would want to photograph.